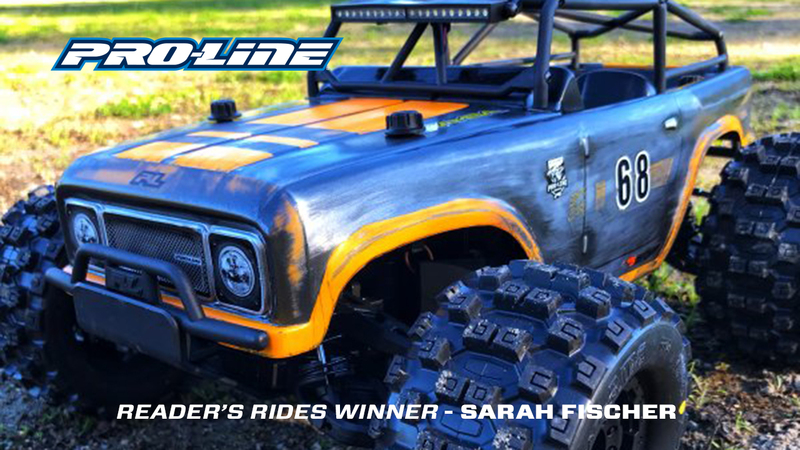 Sarah submitted a Pro-Line PRO-MT 4×4 Ambush Edition and WON! 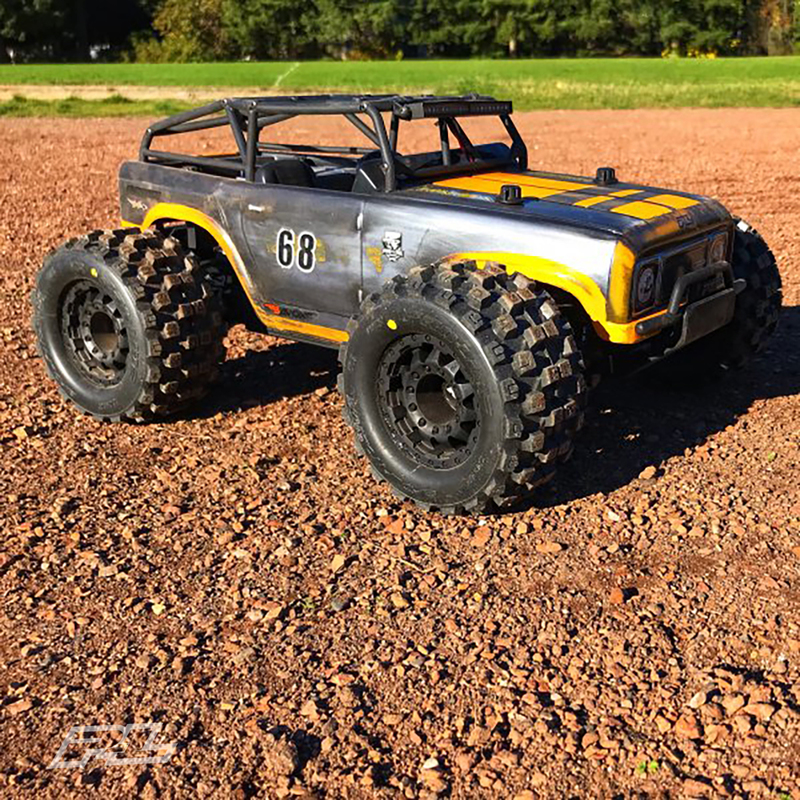 First roller, first body paint, first time out with this build. Totally approachable and rugged, so much fun!!! 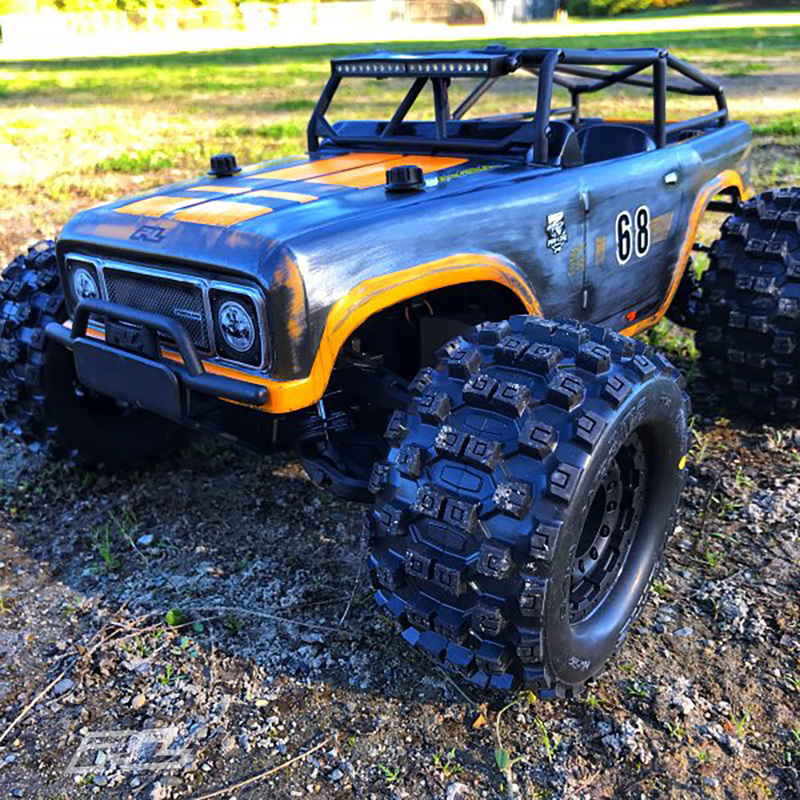 Pro-Line PRO-MT 4×4 Ambush roller, Pro-Line aluminum shock cap upgrades, Pro-Line aluminum shock mount upgrade, Pro-Line metal gear upgrade, 18T Mod 1 pinion gear, 1M center diff fluid, distressed aluminum body paint, Pro-Line 4” light bar, Castle 1515 2200 sensored motor, Castle Mamba Monster X ESC, Savox hi-torque servo, Futaba 4PLS radio, 4s LiPo. Enter your Ride in the Reader’s Rides Gallery now for your chance to win!